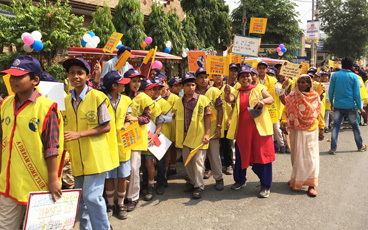 How a vaccine refuser became an advocate for polio eradication. Molvi Hameedullah Hameedi is a prominent religious scholar in a mountainous rural area of Killa Abdullah district, one of the poorest districts in Balochistan province, Pakistan. With a close connection to his community, who are mostly Pashtuns, he delivers the sermon each week during Friday prayers, and runs a religious seminary. He is also a determined supporter of routine vaccination for all children, and an advocate for better health. This might come as a surprise if you met Molvi Hameedullah just a year or two ago. For most of his life, he did not believe in the safety and effectiveness of the oral polio vaccine, the key tool of polio eradication. “I was a religious scholar who was very sceptical of non-governmental organizations and the polio vaccine,” he reflects. The conference Molvi Hameedullah attended was hosted by the Islamic Advisory Group for Polio Eradication (IAG). The IAG was launched in 2014 by leading Islamic institutions including Al-Azhar University, the International Islamic Fiqh Academy (IIFA), the Islamic Development Bank (IsDB) and the Organization of Islamic Cooperation (OIC). 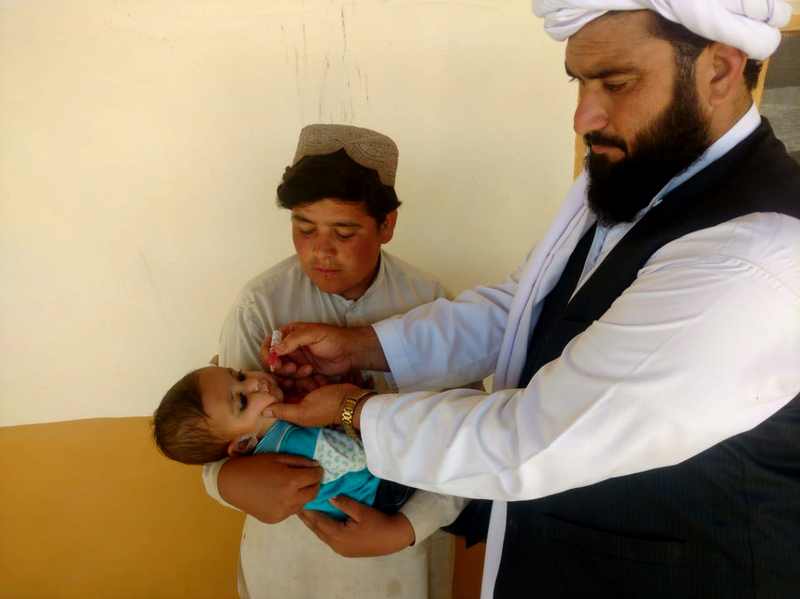 By educating religious leaders and scholars about the poliovirus, and explaining religious justifications for vaccine acceptance, the IAG and its national equivalent equip people like Molvi Hameedullah with the tools to act as health advocates. The same skills that help scholars engage with parents about the polio vaccine are applicable for wider health, including improving routine immunization, hygiene practices, and maternal and child health. After the conference Molvi Hameedullah was offered support by other vaccine-promoting scholars. Religious refusals in Molvi Hameedullah’s area have declined. He has begun supporting other ways of ensuring that every child receives a vaccine, including by recruiting women vaccinators. He acknowledges that the work he does now is not easy. He and his fellow scholars sometimes face challenges from those accusing them of having a political agenda, and changing beliefs informed by years of cultural and religious tradition takes time and patience. But he vows to continue his new mission until eradication. 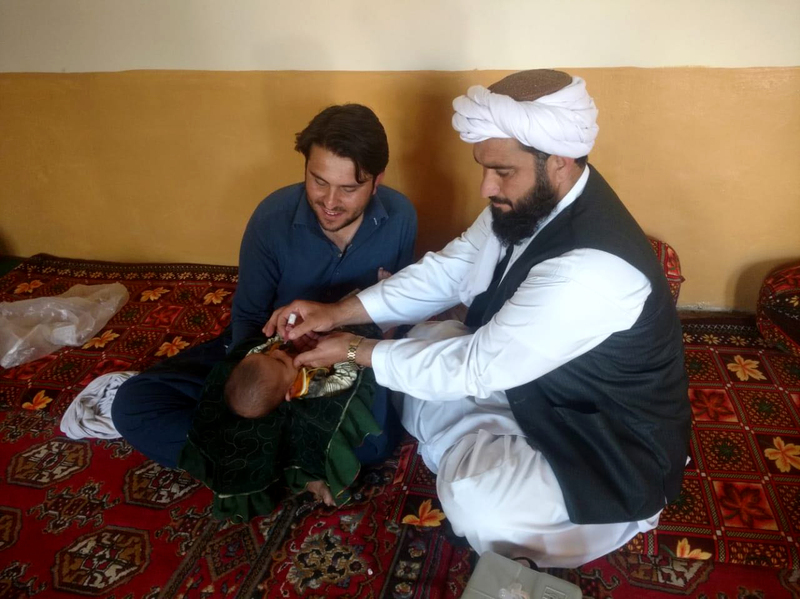 There have been no cases of polio in the area of the district that Molvi Hameedullah covers since he joined the Provincial Scholars Task Force. Looking ahead, he is determined not to stop until all of Pakistan is polio-free.